After a wild win to open their four-game series in Colorado against the Rockies, the Dodgers were locked in another tight one tonight and this time it was their pen that faltered in a 5-4 loss. Kenta Maeda entered today’s start struggling in his last three, and Coors Field is not the best place to get right. His line at the end is fine for a tough assignment, going 5.1 innings and giving up three runs on six hits and three walks with seven strikeouts. However, that’s a bit misleading, as he had just one clean inning, which came in the 5th. The Rockies ran into outs at home in the 1st and 3rd, and stranded men in scoring position in the 2nd, 4th, and 6th. Zac Rosscup took over for him and escaped trouble with back-to-back strikeouts to end the threat in the 6th. Offensively, things started off well enough for the Dodgers against Jon Gray in the 1st, with Justin Turner getting into scoring position with a one-out double and Yasmani Grandal driving him home with a single to center. After Cody Bellinger singled to open the 4th, Max Muncy continued to get back on track, hitting his second dong in as many games, which was his 26th of the year. The bats completed the fight back, grabbing the lead in the 5th. 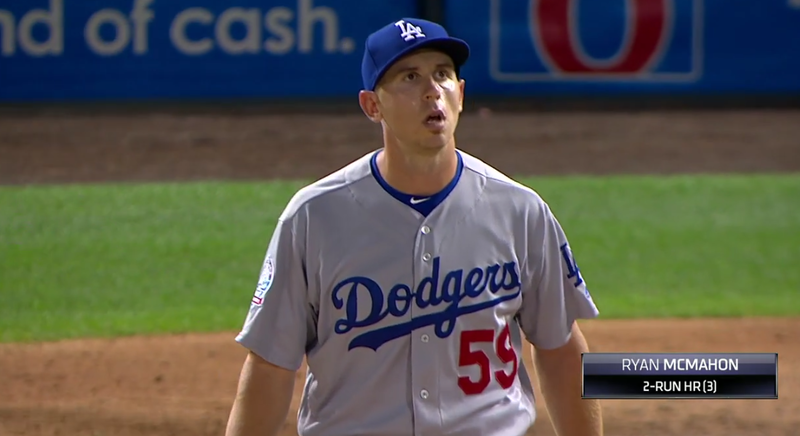 JT got hit with a pitch, and with two outs Brian Dozier walked and then Bellinger smashed a single to center to drive in JT and put the Dodgers ahead 4-3. That unfortunately didn’t last long, as Rosscup continued on in the 7th. He gave up a hit to the righty DJ LeMahieu, which was sort of expected and the risk Dave Roberts was willing to take with a shorter pen and two lefties behind him. The problem is that while Rosscup would get Carlos Gonzalez to strikeout, he then gave up a go-ahead two-run homer to center against Ryan McMahon. I’m not saying Rosscup isn’t working out as a LOOGY, but it’s bad when both righties and lefties have a 1.000+ OPS against you and the lefties are doing better. Anyway, Dylan Floro then entered and while he gave up a double, he got the last two outs of the 7th. John Axford was tasked with the 8th, looking to lower his ERA from 162.00. Because of course, he promptly allowed a lead-off triple, though that was mainly the fault of left-fielder Joc Pederson taking a … creative route. Shockingly, Axford worked out of it without allowing the run to score, getting two strikeouts and a comebacker to him to escape. Unfortunately, that didn’t matter much, as the Dodgers stalled against the Rockies pen today, as they got 3.1 scoreless frames to end it. Yikes. 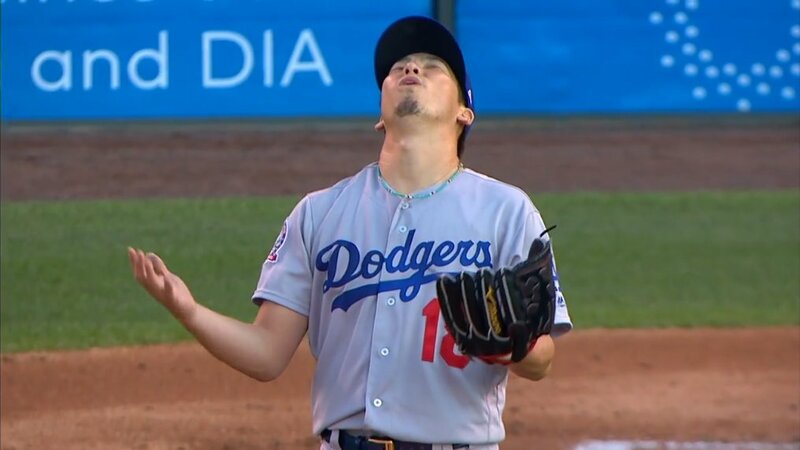 In retrospect, while I understand trying to get another inning out of Maeda given the state of the pen, since he only got one out in the 6th it’s easy to go back and not regret pinch-hitting for him in the 5th when there was a runner on third and just one out. 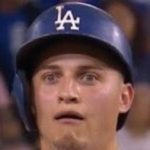 The yoyo-ing between like 10-13 games over .500 has been amusing but has also sucked, and the Dodgers are now 64-53 on the season. Thankfully the Diamondbacks also lost, so the NL West is still deadlocked. The Rockies are now 2.5 games back of both. They’ll do it again tomorrow at 2:10 PM HST/5:10 PM PST/8:10 PM EST, with Walker Buehler facing Kyle Freeland, which is probably the marquee pitching matchup on paper of the series.